Creative WordPress themes for kids shops, mommy blogs & Co.
Beautiful pre-school websites, cute nursery online presences or friendly-looking mommy blogs – more and more businesses and services around children are launching websites to provide information and present their offerings. To create an appealing nursery, pre-school, kindergarten or home care website you can choose from a bunch of fully functional and high-quality WordPress themes for businesses and services related to kids and children. Whether you’re a stay-at-home-mom, a pre-school nursery teacher, or child care service provider, the use of premium children and kids WordPress themes can have an immediate impact on your visitors. Making the decision of selecting the right children WordPress theme for your website is therefore important if you want to have an appealing and well-designed online presence. The most notable feature of premium kids and children WordPress themes is how attractive they are to your website visitors. The varied use of bright colors, coupled with bolded elements that catch the eye in an instant are key factors in creating beautiful websites about and around children’s topics. Many premium WordPress themes come equipped with some nice features, like animated content sliders, multiple custom content widgets, several customizable menus, color customization options, Google web fonts and many more. Taking advantage of these features, you may launch colorful and attractive children and kids websites displaying all necessary information about your offerings. Your website’s content should look nice and neat on multiple devices. Most of today’s WordPress themes are designed with this key factor in mind. All of the kids WordPress themes in this article are fully responsive and compatible with most used desktop browsers and mobile devices. Making use of premium WordPress themes further brings with it the advantage of being able to customize your template to suit your specific taste. When it comes to childrens and kids websites, make sure your site has a friendly-looking, warm and colorful design and appeal. Some WordPress themes nowadays come bundled with some form of page building system. Page builders allow you to visualize how you’d like your site to appear using an easy-to-use drag & drop interface system. No matter what kind of children or kids topic and field your website is about, using children and kids WordPress themes with just the right and suitable features can take your site to the next level. In this article, we’ve listed some of the most beautiful, functional and popular kids WordPress themes. Some themes are suited for blogs, others are perfect for e-commerce websites to set up nice and neat online shops. Besides, we have collected suitable multi-purpose themes or regular business templates which are all specialized and perfectly suited to create children related websites. Kids Life WordPress theme is a great example of how to present an appealing children's website accordingly. You may take advantage of the theme's incredible feature list and gain an immediate advantage over the competition. Kids Life supports a variety of 3rd party integrations including Layer Slider, Visual Page Builder, Google Fonts, Contact Form 7, and Font Awesome. A fine collection of theme layout and color scheme options are also provided. You're therefore able to completely customize this kids WordPress theme to suit your needs. Aimed at the primary school education sector, Baby Kids is a beautiful WordPress theme that can take your website to the next level. You can customize your kids website via the easy-to-use theme options interface. This provides you with the ability to create uniquely engaging and welcoming kids websites. Baby Kids is fully compatible with all major modern browsers and devices, and it's a great companion to anyone wanting to create a functional and beautiful educational website for children. Using the Fable WordPress theme you can launch professional-grade educational websites for children. This educational kids WordPress theme features a comprehensive theme options panel that puts you in full control of your website. Using these options you are able to create something unique - choosing a suitable color scheme, taking advantage of a drag & drop page building system or a wide-range of selectable templates. Fable is the ideal WordPress template for professional educational websites for kids and children. Kiddy WordPress theme is a comprehensive solution for websites about all sorts of children and kids topics. You may easily create fun and immersive sites using the theme's multitude of built-in premium features. Thanks to an intuitive interface and the many useful theme options, you can customize almost every aspect of the theme with comparative ease. Besides, a series of 3rd party integrations are fully supported to add some more functionality to your children and kids website. Are you looking for an attractive and engaging WordPress theme for your children's website? Kids Planet is a great children and kids WordPress theme and a stunning solution aimed at providing you with the tools necessary to create beautiful yet functional websites. Kids Planet also comes with a range of premium 3rd party plugins saving you money and adding a touch of class to your child-themed WordPress site simultaneously. Boutique Kids Creative is an attractive children's WordPress theme. This beautiful WooCommerce ready WordPress theme provides a simple yet powerful collection of options and custom widgets that allow you to create engaging children websites. Boutique Kids Creative is fully compatible with all of the major desktop and mobile browsers, ensuring your visitor's user experience is catered for. Suitable for WooCommerce stores, Boutique Kids Creative comes equipped with everything you need to get your online store up and running. Kids Zone is fitted with 2 premium catchy sliders, BuddyPress support, mega menu, WooCommerce wishlist, zoom magnifier, 4 unique and creative gallery item masks, translation readiness and many more features. Kids Zone is fully responsive and thus, you can reach out to smartphone or tablet users. It suits all types of websites from kindergartens to kids shops and gives you great functionality. Kids Zone helps you create creative children websites. Kindergarten WordPress Theme is ideal for all types of kids websites. Kindergarten comes with unique cloud slider, post formats, retina readiness, contact page, translation readiness and much more. This theme is very user friendly, fully responsive and starts performing out of the box. Crafted for pre-schools or kindergartens, Magicrèche is a nice theme that will provide you with all the features you need to start an engaging and efficient site. This WP theme has been built on Bootstrap and is responsive, retina-ready, translatable, supports Google maps, locations, pop ups, multiple contact forms and lots more. With Magicrèche you can set up a great platform and it might be a competent choice to go with. If you are looking for a credible and reliable WordPress theme to build a website for day cares or pre-schools, then Peekaboo could be the right choice for you. This WP theme has a responsive layout, theme options panel, custom shortcodes, auto updates and many more fancy features. Peekaboo is convenient to work with and flexible to customize. This kids WordPress theme comes with a drag & drop builder, layer slider, responsive layout, theme options panel, unlimited colors palette and many more nice features, Carry Hill School is a rocking theme for preschools, kindergartens, day care facilities and all other types of kids related organizations. 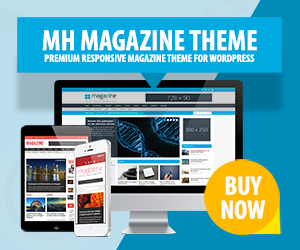 This WP theme is very smart and well documented. You can easily get started and build everything without touching even a single line of code. Built with contemporary technology like HTML5, CSS3; Happy Kids is a lovely theme that can light up your website and make visitors and customers happy. This WP theme is very simple and offers 6 different color styles and 9 different background patterns so you can design it the way you want. Happy Kids suits all kinds of kids websites like pre-schools, day cares, kindergartens and the like. Since it is also WooCommerce ready, you can use it to build a shop selling stuff related to kids. Say hello to this fun-filled and user friendly WordPress theme that caters to shops selling kids toys, games, clothing, etc. Kids Toys is compatible with the most potent and powerful eCommerce plugin - WooCommerce and hence, helps you set up your shop in short time. This WordPress theme is responsive, flexible, cross-browser compatible and more. This is a fresh and lively WordPress theme that comes with great support and fancy features. BeBé focuses on animation and interactive features. However, that is no reason to feel that it lacks great technique and functionality. BeBé is HTML5/CSS3 ready, SEO optimized, cross-browser compatible and much more. Though suitable for all types of children websites, Kid’s Voice School goes great with pre-schools, kindergartens, day cares and child schools. This theme is loaded with all the modern features one needs in order to create a fine website. Pulp is the perfect platform to host your online store for children. This WP theme is easy to customize, cross-browser compatible, WooCommerce ready, SEO optimized, Facebook compatible and much more. This WooCommerce ready template is very simple, gets installed in few steps and performs out of the box. Sunny Kids comes with a creative design, it is highly customizable and mobile friendly; your users can access it from all screen sizes e.g. smartphones, tablets. Here is an exclusive theme for mothers blog as well as for children stores. Mommy Blog has special features such as pregnancy counter, JigoShop shopping cart, beautiful design, 8 custom widgets, Google Font selector and much more. This blog WP theme is very content friendly and also helps you showcase your products in the most appealing manner. Bambino is great when it comes to simplicity, flexibility and competence. This WP theme is a perfect fit for child care centers, pre-schools, nurseries, babysitting agencies, etc. You can easily operate it and you may benefit from useful features. This WP theme comes with grid layout, so you can showcase your posts in a very fluid and easily navigable manner. Completely responsive, retina-ready, customizable and much more; Kindergarten is a classic children WordPress theme. It is very smart and loaded with five premium plugins - Royal Slider, RevolutionSlider, Visual Composer, WPML and PO Composer. The template is full of contemporary features and lets you upload all kinds of media content. You can modify many things and operate everything from the back-end. As you can see from this neat collection, when it comes to children and kids themes for use on your WordPress website, there are plenty of templates to choose from. Implementing a suitable children and kids WordPress theme on your current website can take it to the next level. 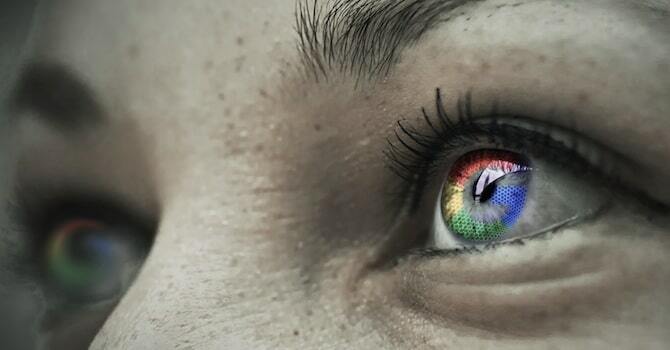 By using high-end features, you can present your content and information in a fun, colorful and attractive way. Engaging with your website visitors in ways you might never thought possible can leave a positive lasting impression. Making use of custom elements to attain a level of uniqueness is imperative if you want to stand out from the crowd. Using a premium WordPress theme for children and kids websites enables you to create not only beautiful and fun websites, but websites that will capture your visitor’s attention from the moment they enter.